This entry was posted in Beverage and tagged food photography, Food Stylist, lebanese drinks, lebanese food blog, lemonade. 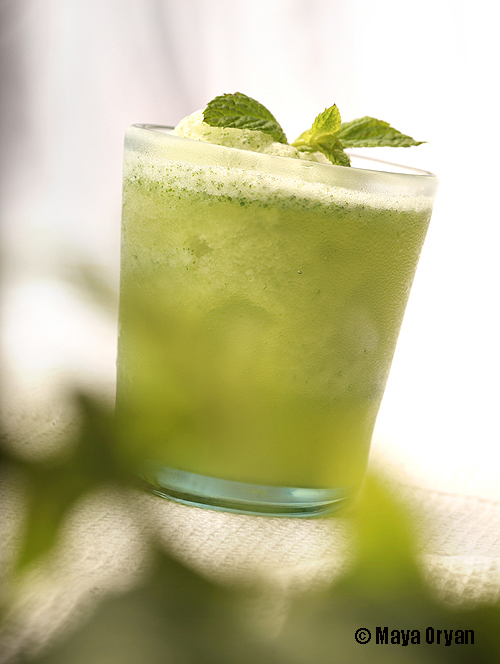 limonaada, limonada, Maya Oryan, mint, minted frozen lemonade, minted lemonade, sharab by Maya Oryan. Bookmark the permalink. For me it’s an all year round craving and not only to beat the summer heat! I remember teta’s lemonade! Mmmmm! I want some of it NOW!!! WOW ! And so refreshing and beautiful! Maya, I loved spending time on your blog this afternoon. Won’t you please share some of your styling secrets with the rest of us! Everything on your blog is just sooooo beautiful!! I feel so flattered! Thank you! I first had this drink in Israel. I became obsessed with it. So refreshing. I have adapted it and at home I add vodka!